By way of tweet, NJ Transit on Wednesday finally ended the mystery over when the Atlantic City Rail Line would resume service. Trains will begin providing service again between Philadelphia and Atlantic City on May 24, just as the summer Shore season starts. Also coming back on line that day is the Princeton Dinky, the transit agency reported. Wednesday evening in Cherry Hill, NJ Transit executive director Kevin Corbett confirmed the restarting of the line, and said the schedule would be tweaked to better suit commuters who use it. But his announcement received no applause from a crowd of weary, inconvenienced people. The Atlantic City line stops at Absecon, Egg Harbor City, Hammonton, Atco, Lindenwold, Cherry Hill, and Pennsauken before ending at 30th Street Station. Frustrated riders, many of whom commute from Cherry Hill to University City, were not impressed by the Memorial Day weekend restart date. “It’s not good enough in any way, shape, or form,” said Leah Madden, who commutes to University City from Lindenwold. She accused officials of at best a lack of transparency and at worst, outright lies. 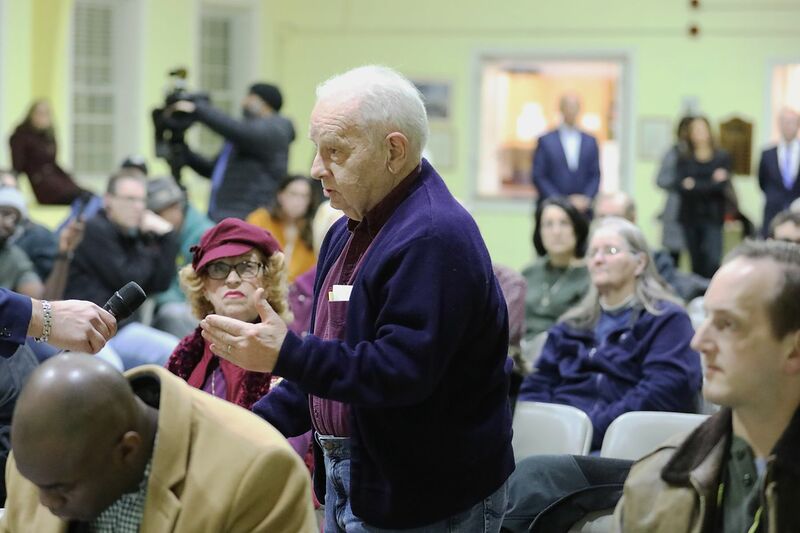 Speaking to Corbett and New Jersey Transportation Commissioner Diane Gutierrez-Scaccetti, Madden expressed the deep skepticism of many in the audience. “How can we be sure it will start up May 24 and not be another broken promise?” she said. “If we don’t, then Kevin and I will be looking for work somewhere else,” Gutierrez-Scaccetti said. She blamed the need to equip the “wayside equipment” stored along the tracks with the Positive Train Control measures for the agency’s failing to meet the original January target date, even though required PTC installation was complete. The Atlantic City rail line, which carries fewer than 2,000 people on a typical workday, has been out of service since September. Initially, NJ Transit officials said the line needed to be suspended to allow for the installation of PTC, a safety system that automatically ensures that trains travel at a safe speed. Since then, officials have acknowledged that Atlantic City Line equipment and personnel were being diverted to North Jersey to bolster busier rail lines there. She and Corbett said the agency was suffering from a decade of neglect and staffing attrition, and neither would promise any real improvements to the line, like an hourly schedule that studies have shown would significantly increase ridership, or even more than a single track. The process of getting PTC up and running did not require most other rail lines to be suspended, but it has wreaked havoc with schedules on the routes that provide service in and out of New York City. Assemblywoman Patricia Egan Jones apologized for the broken promises and pledged to improve the often-overlooked Cherry Hill station. The Memorial Day weekend start date leaves Atlantic City shoulder tourism events, including the popular Atlantic City Beer Festival at the end of March, on their own, Corbett acknowledged. “It looks that way,” he said.